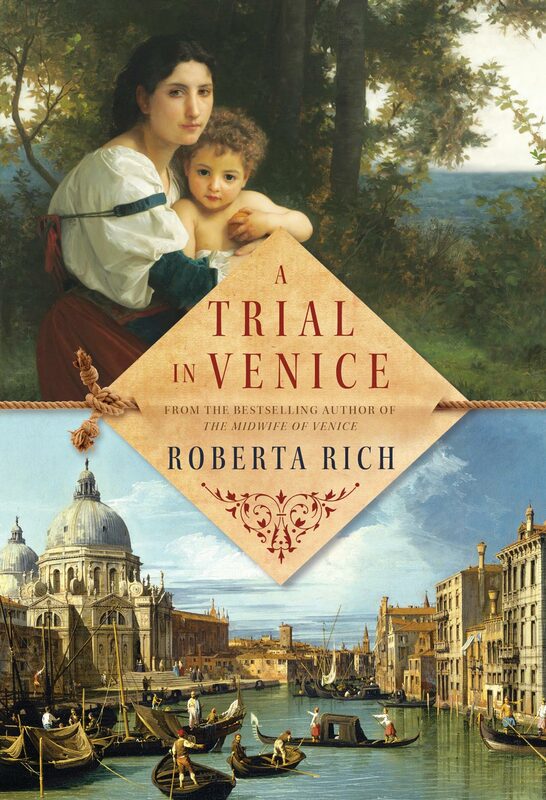 Hannah and Isaac Levi, Venetians in exile, have set up a new life for themselves in Constantinople. Isaac runs a newly established business in the growing silk trade, while Hannah, the best midwife in all of Constantinople, plies her trade within the opulent palace of Sultan Murat III, tending to the thousand women of his lively and infamous harem. But one night, when Hannah is unexpectedly summoned to the palace, she’s confronted with Leah, a poor Jewish peasant girl who has been abducted and sold into the sultan’s harem. The sultan favours her as his next conquest and wants her to produce his heir, but the girl just wants to return to her home and the only life she has ever known. What will Hannah do? Will she risk her life and livelihood to protect this young girl, or will she retain her high esteem in the eye of the sultan? 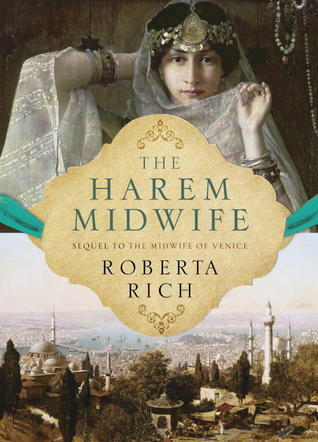 Fans of Rich’s first novel, The Midwife of Venice, were left with a few unanswered question at the end of the book, most specifically relating to how Hannah and her husband Isaac would adapt to their new life in Constantinople. Our curiosity is rewarded in this second book, as we pick up with the couple and their adopted son as they have established themselves as silk merchants and tent makers in their new home, and with Hannah as the midwife to the Sultan and his harem. There’s so much to enjoy about this novel. Rich’s attention to detail allows you to fall into the world of Constantinople in the 16th century, complete with contrary Sultans, palace intrigue and unique customs and traditions. This is not to say that the story suffers – indeed, it is this attention to detail that allows you to believe in the story so fully, and to follow with fascination as Hannah and Isaac struggle to resolve their issues. One of the best developments of this story from its previous book is the growth by Hannah and Isaac as individuals and as a couple. They spent the majority of the first book apart, and Rich has allowed that distance to change her characters. While Hannah is still an obedient wife who cares deeply for her husband and her religious traditions, she developed a core of inner strength and courage through her experiences in the first book, and I was so pleased to see her making decisions that reflected that growth. Going against the wishes of her husband (minor spoiler here) was difficult for her, but it also fit the professional and personal ethics she formed through her experiences. It was hard to read about the distance that separated Hannah and Isaac due to their various circumstances, but that was also a believable part of the story as every couple must deal with conflict in their lives. Equally intriguing was the introduction of the new “villainous” character of Cesca. Oh, how I hope that there is more about her in future books! Wily and intelligent, a tad mercenary but also a survivalist, Cesca is only looking out for herself because she is the only person she can trust, and despite her actions I grew to enjoy and actually like her a great deal. Many actors have confessed how much more fun it is to play the bad guy, and Cesca is definitely a wonderfully fun character to follow. The Valide, mother to the Sultan, was equally fascinating; there is definitely no lack of strong female characters in this book – a great focus considering the male-dominated historical writings of the time. Foscari, by contrast, is less vivid, despite his silver nose, and I was not upset to see his role minimized. For me, the setting was just as important as the characters in this book, and Rich did not disappoint with her lush descriptions of the harem quarters, the interesting people working in the Palace and the rituals and customs therein. Perhaps my favourite parts lie in the tiny details – descriptions of lights moving gently through the gardens on the backs of turtles, the decorative details in the rooms in the Palace, differences between life as a Jew in Constantinople versus life in Venice. Each of these moments brought Hannah’s new world to life for the reader. This helped the reader to react with more sympathy and emotion as events unfolded (no spoilers here! ), and to recognize how sensitively the author portrayed Hannah’s reactions and despair. The varied perspectives also helped to give a broader view to the story, allowing you to see events from multiple views and giving greater intensity to certain scenes. While the ending wraps things up for this story, perhaps a bit abruptly, it also leaves the door open for more stories about Hannah, Isaac and their family, as well as for Cesca (can you see my secret wish here?). I’d love more backstory about the Sultan and life in the Palace as well – see what happens when I ask the author about this in tomorrow’s posted interview! Overall, this is a lovely read, with rich descriptive passages that bring you right into the time period and allow you to take the journey of the story along with the protagonists. For fans of Rich’s first novel, this is a must read, and for those new to Rich’s work it is a great introduction (although I would suggest reading book one as well! ).